Perhaps the only ‘chicken and egg’ story in violin making history was recounted to me by Mario Gadda, son of Gaetano: the great Mantuan maker Stefano Scarampella was supplied with his chickens and eggs by the teenage Gaetano, who would pedal the 15 km from his native village of Sorgà to Mantua to deliver them. 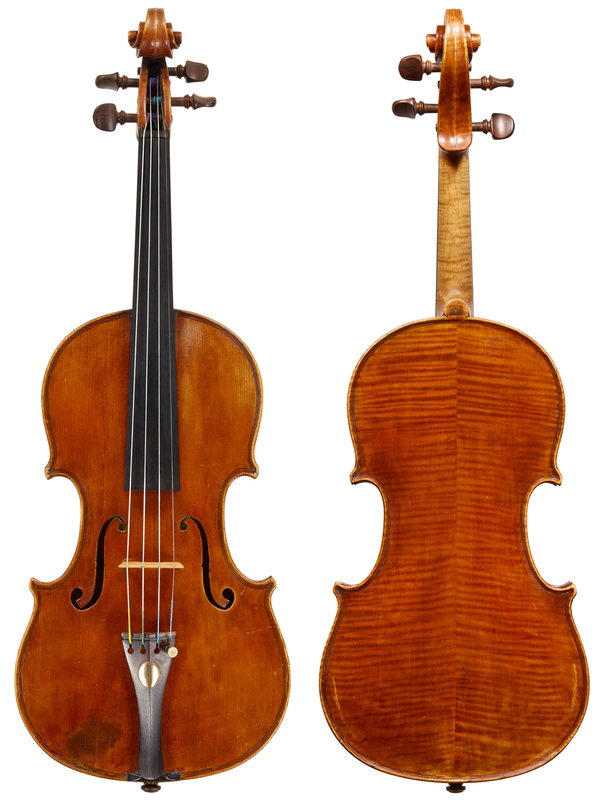 Scarampella, having refused all other aspiring apprentices, recognised Gadda’s genuine interest in and aptitude for violin making, and offered to take him on as his sole pupil (see our previous feature on Scarampella). Gadda (1900–1956) quit his father’s farm and moved to Mantua to study full time with Scarampella in 1919. He made remarkable progress, soon graduating from being an apprentice to making instruments in collaboration with Scarampella. Indeed, it does not appear that Scarampella made instruments on his own after 1920. In 1924 Scarampella signed a formal document stating that Gadda would acquire his tools and moulds in exchange for completing one violin per month for his master until the end of the old man’s life. Alas, the contract was short-lived, as Scarampella died less than a year later. In the same year Gadda married Dora Balzarelli, with whom he had two sons: Gianfranco, who died aged 14, and Mario (1931–2008), whom he trained in violin making from a young age. During the five years Gadda spent with Scarampella, his collaboration with the master was so close that attributing instruments from this period to one or the other maker is often difficult. They would have likely left the workshop under Scarampella’s name, labeled with the true date of their completion, but later some of them acquired new Scarampella labels. These mostly backdated them to the older master’s earlier working periods, some even to before 1900. Presumably this was to account for the differences in style and execution between the instruments Scarampella had made alone until around 1920 and those made for the most part by Gadda from 1920 to 1925, with the intention of making them accepted as the sole work of Scarampella. A number of Gaddas made after 1925 may also fall into this category. Many 20th-century copies of Scarampella are falsely attributed to Gadda; he followed Scarampella but was not a copyist, and the models he used for inspiration in his independent work – including but not exclusively those of Scarampella – were skilfully adapted into his own style. He also occasionally made parts for fine old Italian instruments, generally of the Mantuan school. 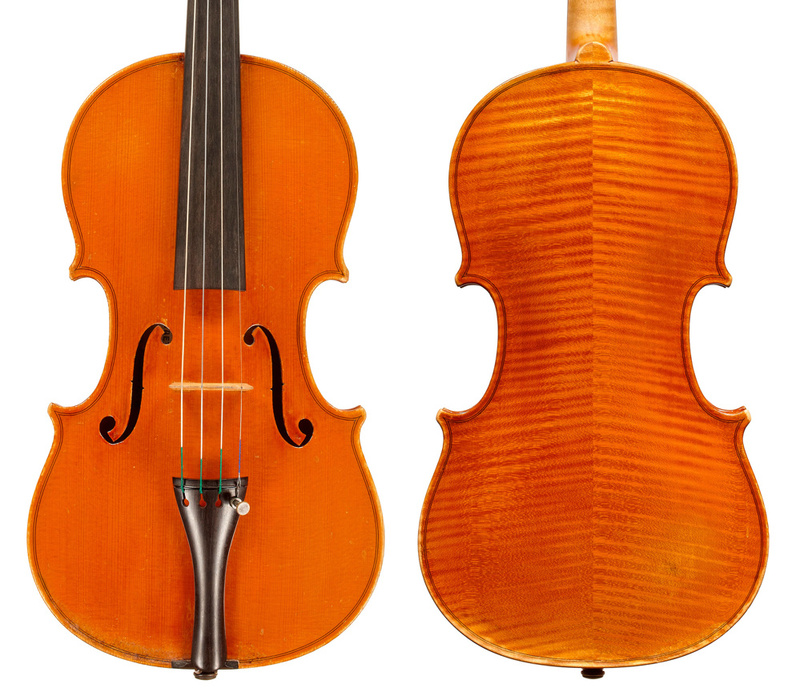 While Scarampella established the modern Mantuan school, Gadda perpetuated it by passing his knowledge to Mario and a number of other violin makers in the region, in particular Bruno Barbieri and Gino Antonelli. Through the Gaddas, the Mantuan style – generally associated with variations on the Scarampella theme – became widely propagated and some makers, mostly around Mantua, continue to be influenced by it to this day. Typically the soundholes of Gadda’s violins and violas improvise on those of Scarampella (which are themselves an interpretation of the Guarneri ‘del Gesù’ design). They are, however, slightly more elongated and curved at the wings, and the lower wings are rather deeply fluted and executed more neatly than those of Scarampella, who tended to employ one or two shallower gauges. 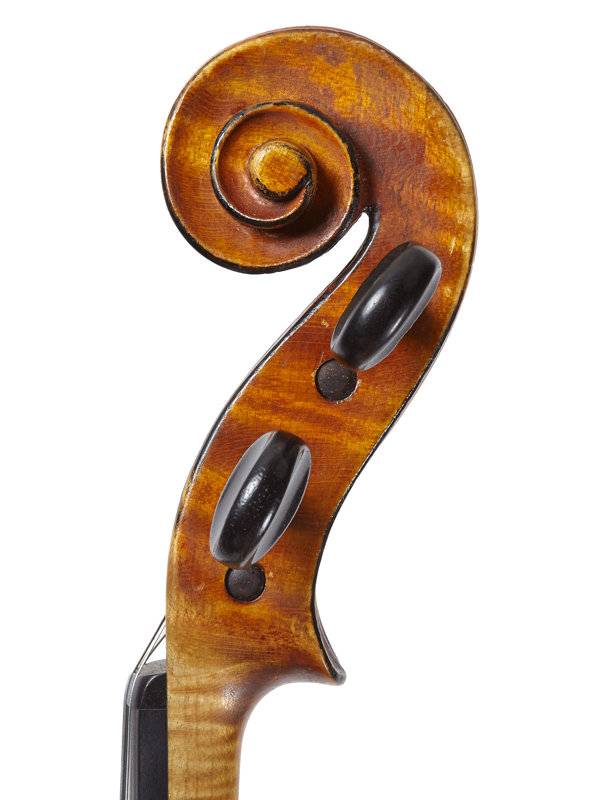 The cellos, of which Gadda made around a dozen, are modeled after Tommaso Balestrieri (like Scarampella, Gadda was convinced that Guarneri ‘del Gesù’ did not make cellos); they are characterised by large, elongated corners and have slightly higher arching than the violins. Gadda used richly flamed maple and oppio, generally in two pieces. His work is normally much more carefully finished than Scarampella’s and the central section of his archings tends to be flatter. The channeled edges are well rounded and the purfling is relatively neatly inlayed, rather removed from the edge. His lush varnish, which is rather soft and glowing, is some of the finest seen in the 20th-century Italian school; especially striking are the examples with the finely textured reddish-brown varnish on a yellow ground. During the late 1930s Gadda began blackening the outer chamfer of his scrolls, something Scarampella never did. His best personal work generally dates from just after World War II until the early 1950s. From this point Mario’s participation becomes more likely, bringing with it an increase in output but some decline in quality. Nonetheless, overall the quality of Gadda’s instruments was well maintained until his untimely death in 1956 aged 55; his overall output runs into the hundreds. Gadda’s labels always state that he was a pupil of Scarampella and in the later 1940s he started branding his instruments with his initials ‘G.G.’ inscribed in a rectangle on the back button and at the lower rib. His work was widely imitated by a number of later makers, including Mario, who specialised in copying his father’s work, leaving few hints of his own skilful hand; in particular the instruments made during the late 1950s and 60s are some of the trickiest to attribute correctly. In his later years Mario presented some of his own work as instruments ‘made in collaboration’ with his father, but these are readily recognised as Mario’s own creations, or collaborations with some of his assistants. From the 1980s Mario also copied a number of other great north Italian makers of the previous two generations, complete with very convincing labels and brands. He made several hundred excellent instruments on his own model and executed some cleverly disguised repairs and modifications that he did not mind disclosing to regular visitors. On one such visit he showed me how he had disguised a ‘new’ back inside the original purfling of an older instrument in order to solve the problem of a soundpost crack in the back. At its best, Mario’s work has few equals among the ranks of the talented copyists who imitated earlier makers from their own traditional schools. Gaetano Gadda deserves his place as one of the best makers of the 20th century. His instruments show that he used the more individualistic approach typical of traditional Italian violin makers, who did not directly copy the models of Stradivari or Guarneri ‘del Gesù’. Both Scarampella and Gadda, fired by their own convictions, demonstrate that individuality in skilled hands can indeed bring about superior results, as long as the concept of arching and proportions adhere to the best of the classical Cremonese models.